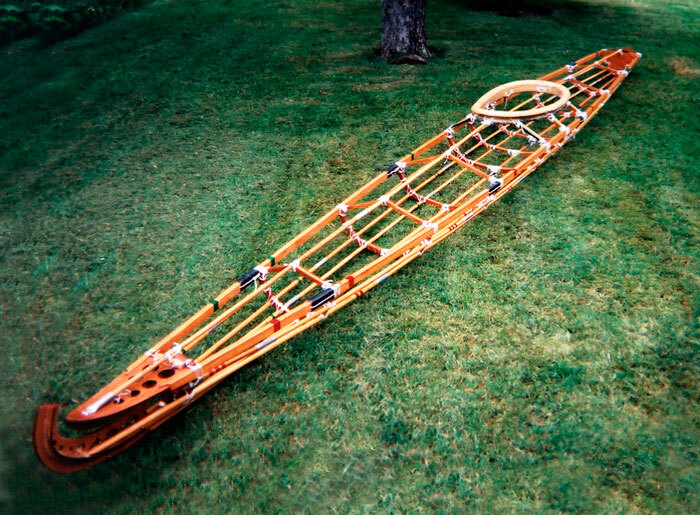 George Dyson of Bellingham, Washington designed this skin-on-frame kayak. His design called for aluminum tubing for the frames. 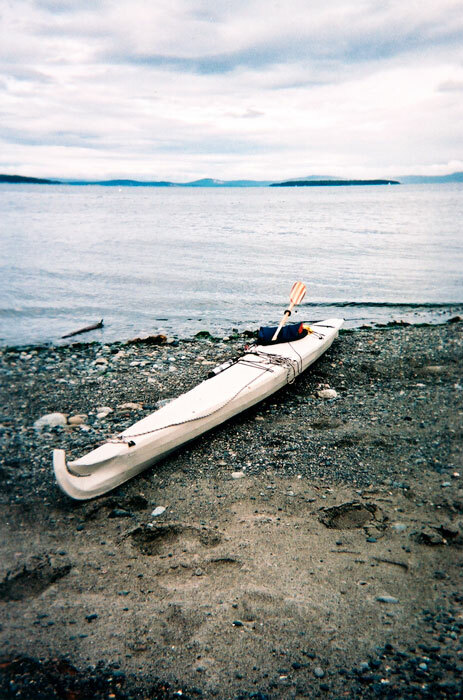 When Alex Zimmerman built this kayak, he modified the planking to a marine plywood and cedar sandwich. 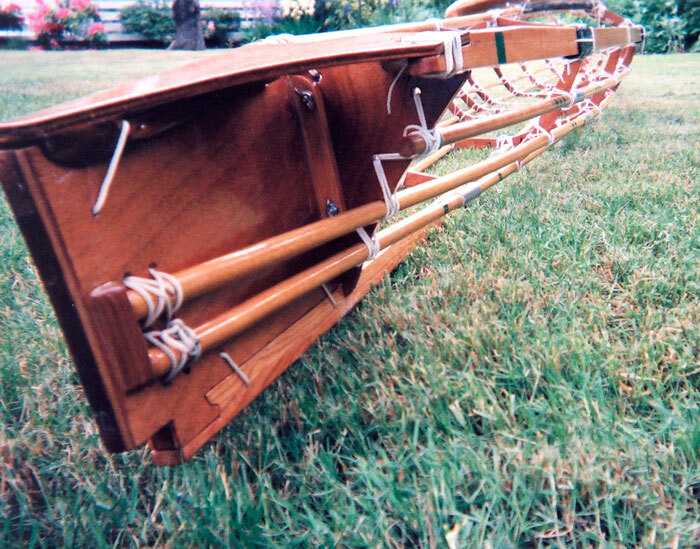 He used Douglas-fir for the keels and wales and Ramin doweling for the stringers. The skin of the kayak is 15 oz nylon sewn in place and waterproofed with seven coats of Hypalon on the bottom and five on the deck. Construction took about 300 hours over 2 years. Alex finished the boat in July 2001, and made a three-week solo trip to Haida Gwaii in the Queen Charlotte Islands.